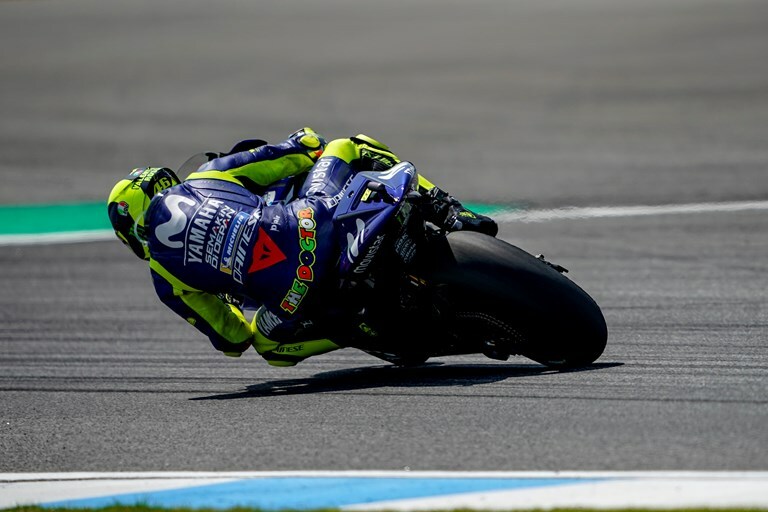 The Movistar Yamaha MotoGP team is greatly motivated to tackle the next challenge at another significant round. They will start the triple-header of consecutive overseas races with a home Grand Prix for Yamaha at the Twin Ring Motegi circuit. With a busy schedule ahead of him, Rossi is more than happy to come to Japan and looks forward to meeting the passionate local fans. He still holds third place in the championship with a 22-point gap to second, and with three races in three weeks he has all to play for. Feeling in top shape, the Italian again aims to fight with the front-runners this weekend. He narrowly missed out on a podium spot in Buriram, but he fancies his chances in Motegi, a track where he stood on the rostrum on numerous occasions. He graced the premier class top step at this Japanese circuit in 2001 and 2008, he scored second place in 2000, 2002, 2003, 2004, 2006, 2009 and 2015, and achieved third place in 2010 and 2014. Two weeks ago Viñales returned to the podium in Buriram. Thanks to this strong ride he currently holds fourth position in the championship standings and arrives in Japan ready for action at Yamaha’s home race. Since the Spaniard began his Grand Prix racing career in 2011, he has visited the Motegi podium four times, securing two second places at the Japanese Grand Prix in Moto3 in 2012 and 2013, a second place in Moto2 in 2014, and a third place in the MotoGP class in 2016. This year he hopes to reach the top step of the rostrum and add 25 points to his tally, thereby narrowing the 26-point gap that separates his fourth place from third in the championship standings. With a fantastic fifth place from the very first Thailand GP in his pocket, Johann Zarco arrives in Motegi, Japan this week with high hopes. As with this positive boost the French star aims to claim back the lead in the independent riders championship from Cal Crutchlow and Danilo Petrucci during the first of three back-to-back rounds in Asia and Australia. Monster Yamaha Tech3’s Hafizh Syahrin is on a mission as well. In the 16th MotoGP race of his career he arrives with great memories, as the Motegi Circuit is one of his favourite tracks, plus the Malaysian rookie lands in Japan after a promising top 12 result in Buriram, targeting another points scoring position. The action is set to commence at 9.55 local time (2.55 CET) on Friday with FP1.